Reduces costs by reducing maintenance and removing the need to manually clean the bed at frequent intervals. 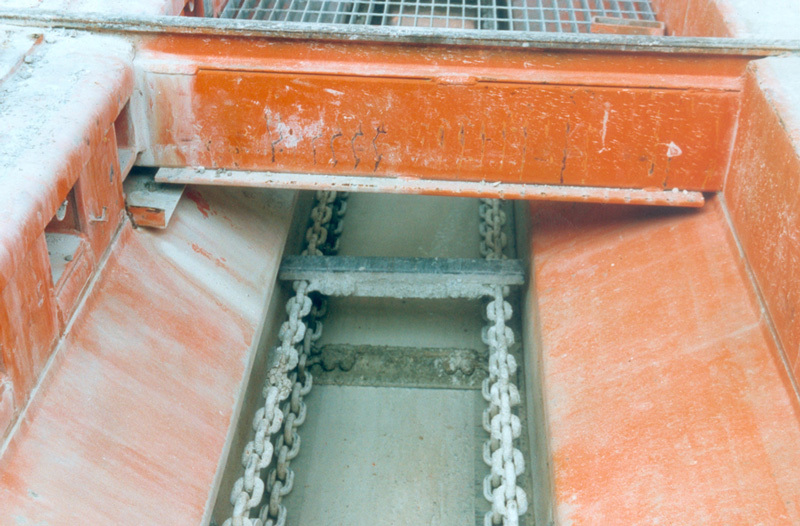 The debris conveyor chain is positioned across the tail end of all the production beds (at the opposite end from the stressing side). 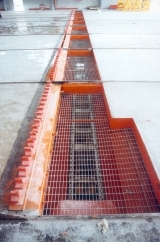 It collects the cutting water and the debris of the production beds and conveys it into a slurry tank.